All citizens of Bosnian origin living in Canada can testify that Brian’s contribution and hard work to acknowledge and declare a day of mourning for Srebrenica and to make sure that everyone knows that the crimes committed in Srebrenica were in fact genocide. Despite the resistance to include the word genocide in the resolution, Brian was determined to pass the resolution in the Parliament. 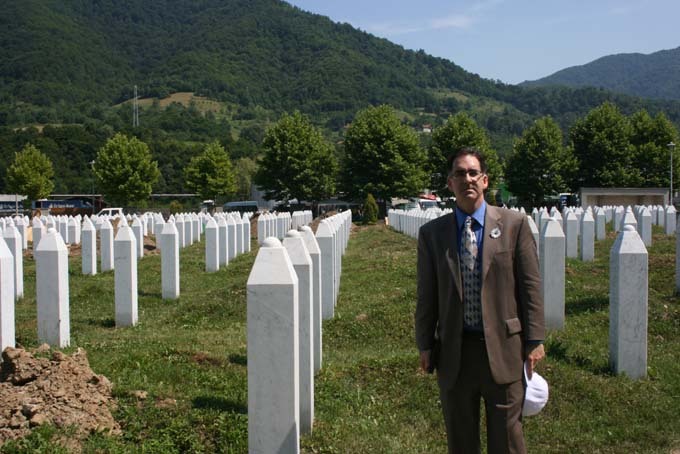 This task was accomplished on October 19th 2010.The lobbying and advocacy process for this resolution lasted more than a year and Brian’s dedication, commitment, integrity and courage are important factors that led to the realization of this; something that is very important to the Bosnian Herzegovinian community. Furthermore, this gives an advantage to Canada to strengthen its commitment in the fight to prevent genocide in the future, and further optimize the relations between BiH and Canada to prevent future genocides. It is vastly important to emphasize Brian Masse’s commitment to fighting for human rights since the beginning of his political career. In fact, his entry into politics was linked to the genocide in East Timor. From then onwards, Brian has maintained his integrity in the fight for human rights. In the case of the Srebrenica Resolution he demonstrated that the need for justice surpasses the need for apparent peace.